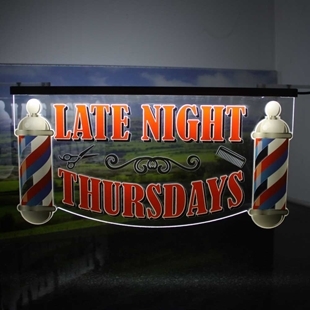 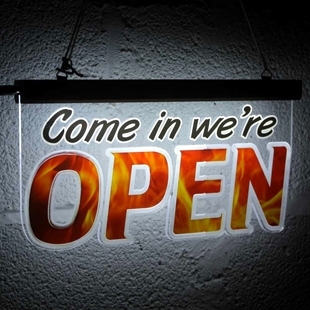 A personalised illuminated LED edge lit barbers sign. 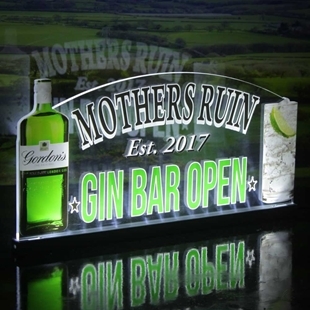 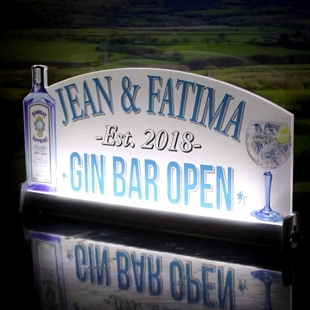 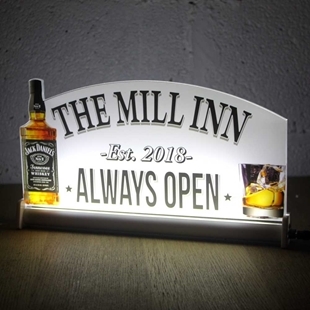 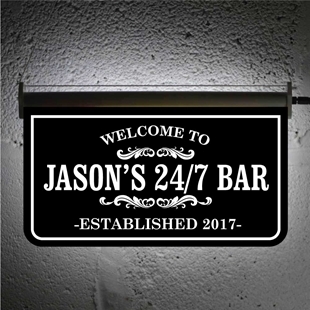 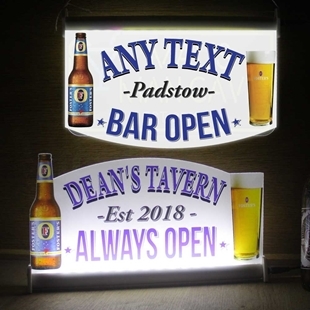 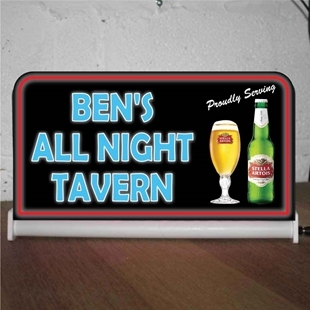 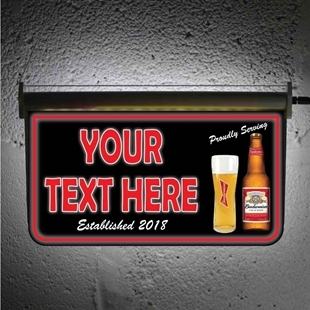 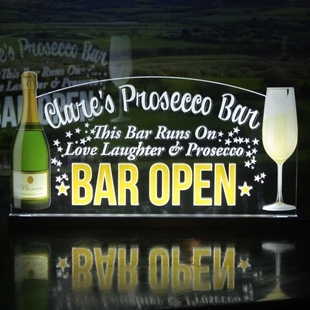 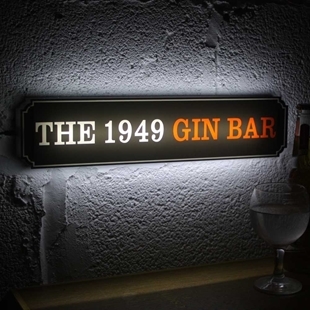 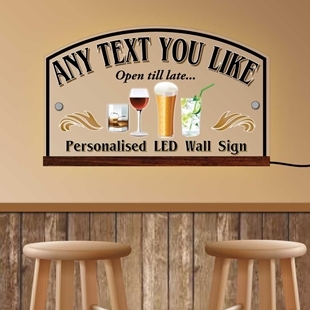 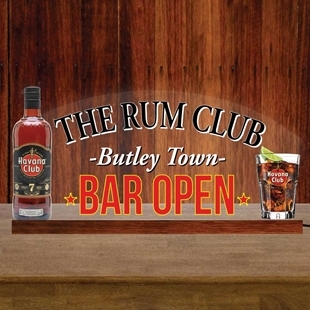 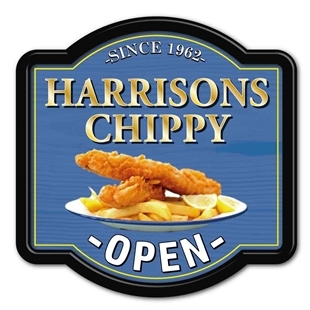 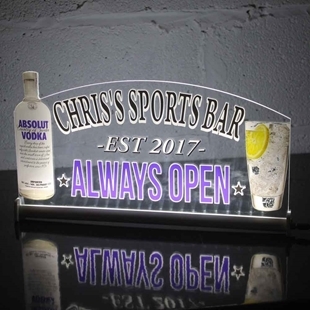 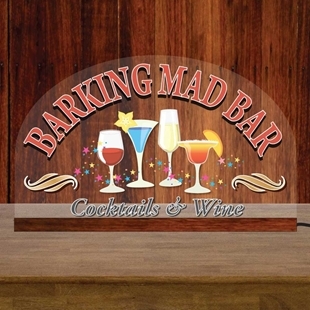 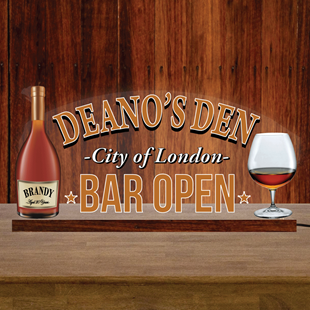 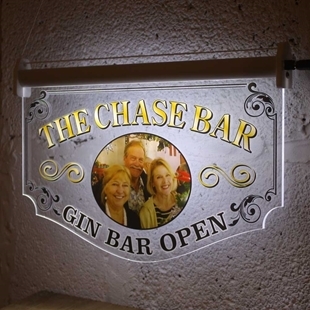 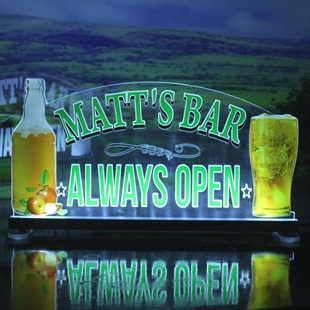 A personalised illuminated LED pub sign, perfect for a home bar. 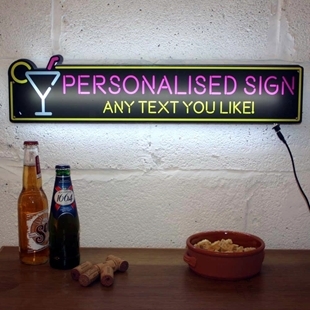 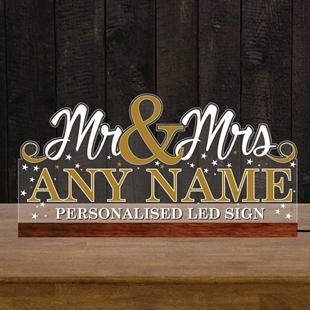 A personalised illuminated LED road sign, perfect for a unique home accessory.